When searching for the greatest financial value while shopping for pool tables two factors must be taken into consideration, price and longevity. There are several models of pool tables on the market today that are priced under $1,500 but what kind of value are you actually receiving at that price point when you consider the quality of those tables? To obtain an honest answer to the question we must first discuss the qualities that make an affordable pool table a good value. The first characteristic to look for is the material that the pool table is made from. Pool table cabinets are generally made from solid hardwood, a veneer, or a laminate. Solid hardwood tables provide the best value over time as they will best retain their ascetic quality, will be less susceptible to varying climate conditions, and can be disassembled and reassembled with minimum issues. Tables built from a veneer or laminate generally have a thin piece of wood or plastic (less than 1/8 of an inch) that is attached to a piece of particleboard or MDF. There are many issues with tables that are primarily fiberboard or MDF. Because these materials are not as strong as solid wood it is easy to strip bolts and screws out of the cabinet which makes it extremely difficult to assemble these pool tables. The lack of strength in the material also cause the frame to expand and contract with a great degree of variance cause bolts , brackets, and screws to come loose compromising the structural integrity of the table. Perhaps even more important than the material of the cabinet is the play surface under the felt. Slate is the only worthwhile play surface for a pool table as it is flexible enough to level properly yet rigid enough to not warp with varying climate conditions. As a cheap substitute for slate some manufacturers use a MDF board that they color grey to look like slate and create a name for the surface that might make it seem like an engineered slate. Some companies use deceptive practices regarding “wood” the pool table is made out of as well. They will say that a particleboard or MDF table is “real wood” implying that the table is solid hardwood when it is not (using that definition, toilet paper can be considered real wood since it is made from wood fibers). These tables represent a poor value for your money as the average life a table with “fake slate” is approximately 1-2 years. At that point the surface warps and is no longer level making a game of pool impossible to play. 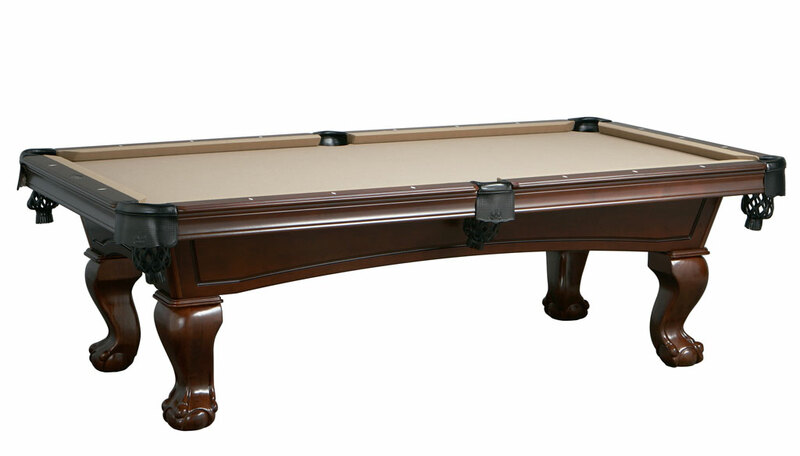 Every table we sell at Pool Tables Plus is a true slate pool table. Another important aspect to consider is the type of rubber cushions. Most manufacturers of pool tables use a K66 profile rubber cushion that conforms to a BCA specification. However, most K66 rubber cushions are poor quality and made exclusively in China and have a tendency to lose their elasticity after only 2 to 5 short years. The rubber becomes hard and brittle and is very expensive to replace. The cost of labor to remove and replace rubber cushions is approximately $300 plus materials. Olhausen Billiards is the only manufacturer that uses a very high quality rubber cushion that is made in the USA and is guaranteed for life. So if you are looking for a quality pool table at an affordable price I would recommend visiting our affordable pool table section. The Fillmore table is the least expensive table that is solid wood and has a slate playing surface. 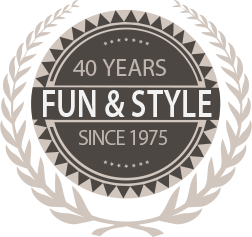 The best overall values for your money in the affordable category are the Bridgeport and Fairfax pool tables. They represent the best value because the slate screws into a plywood surface which ties the cabinet together. This construction method negates stripping bolts or screws and gives the table great structural integrity. The Fairfax and Bridgeport pool tables are built in the USA and are backed with a lifetime warranty that covers all the components except for the felt and pockets. Now that you are armed with the necessary information you can make an informed decision and truly get a quality pool table at an affordable price. It is possible to disassemble, move, reassemble, and re-felt a slate-topped pool table yourself and with the assistance of a few friends. This may save you some money, but the table is much more likely to be damaged. A lot of the tables value will be lost if the slate is cracked or broken. Trying to move a pool table requires is not easy. It must be taken completely apart. This means that rails and blinds must be removed, felt must be removed, the slates must be removed (150 – 200 lbs per each of three slates) and the frame and legs must be removed. Be careful with the slates as they are often pinned and bonded together with an epoxy that must be carefully etched so the slates are not broken. Trying to assemble, balance and seam slates, level frame, re-stretch felt is impossible for an amatuer and best left to the professional technician.